The Indian media claimed that the 42-year-old actress and beauty queen fell in love with 27 years old model and both decided to be bound by their love marriage. Former Miss Universe Indian actress Sushmita Sen has announced that she would get married soon to her new love. This would be her second marriage. 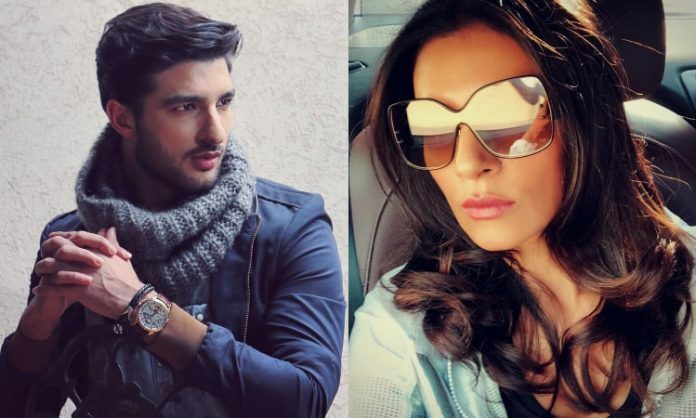 According to details, Sushmita Sen will marry a young model, Rohin, 15 years younger than her, in 2019. The Indian media claimed that the 42-year-old actress and beauty queen fell in love with 27 years old model and both decided to be bound by their love marriage. Sources close to the actress said, the model and the actress are in deep relationship, they have very close friendship, and they like each other a lot. Some days ago, Rohin expressed his love for the ex-beauty queen and asked her to marry him and she agreed, sources said. Another source told the Indian media that the adopted daughters of Sushmita Sen, Renee and Alisah, want the friendship between their mother and the model to transform into marriage. Rohin participated at the Diwali celebrations held at the home of the actress and posted photographs of the celebrations on social media in which Renee, Alisah, and all others were present.